Decorate your homes, with a quote from the most loved British Prime minister. 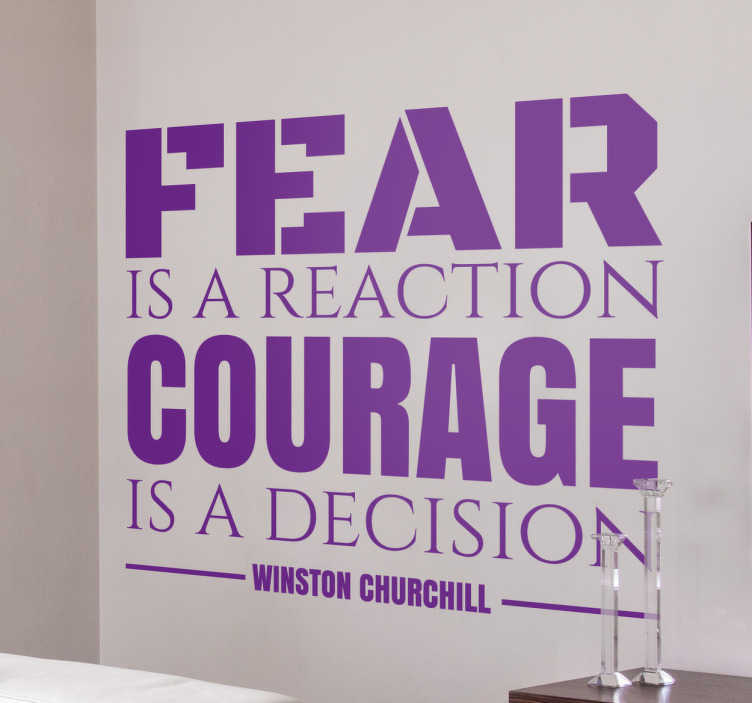 The sticker consists of the quote "Fear is a reaction, courage is a decision! ", with Winston Churchill written below the quote. Feel inspired with this wall decal in your home. Like many of our stickers, this design comes in various sizes and colours.